Asparagus is one of the most nutritionally well-balanced vegetables! It is high in folic acid and a good source of potassium, fiber, thiamin, and vitamins A, B6, and C. A 5-ounce serving provides 60% of the RDA for folic acid and is low in calories. 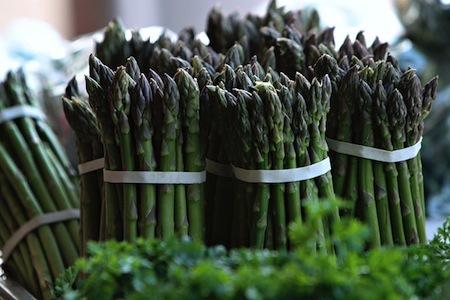 Asparagus is also one of the top plant based sources of tryptophan, which helps create serotonin and boost your mood. The high levels of folate may also help fight depression according to researchers. Make sure to have your asparagus boost today!